Judy Killian has been making music all her life. She is a lyric soprano, pianist, flutist, composer, performer and teacher. Her K­12 Bachelor of Music Education degree is from Westminster Choir College in Princeton, New Jersey with a vocal major and a piano minor. While at Westminster, she had the privilege of studying voice with Helen Kemp and Lindsey Christiansen. Their Symphonic Choir, under the direction of Joseph Flummerfelt, sang seasonally with the New York Philharmonic Symphony Orchestra under the direction of Zubin Mehta. He even selected Judy to sing a solo in Carnegie Hall! In addition to her studies and student teaching, she also traveled in the New Jersey and New York areas playing jazz flute in their quartet, Oasis. Judy composed a song cycle that was performed at her Senior voice recital. She graduated in the top of her class and has been teaching music ever since. Judy has taught Music and Drama in both public and private school settings as well as maintaining a private studio teaching voice, piano, flute and theory and composition. She recently retired from Harrisburg Christian School where she taught for 15 years. While there, Judy developed the Music and Drama departments to a high standard of excellence. Her roles at HCS were as director of Concert Choirs and Handbell Choirs, teaching various Music and Theatre electives including an Advanced Placement College Board Music Theory course, and leading their worship team who provided music for weekly chapel services. Judy’s love for Musical Theatre led her to be the Producer and Music Director for 12 seasons of Spring Musicals. For 24 years, Judy sang, traveled and recorded with the octet Harmonies of Grace, ministering in churches, prisons, festivals and stages all over Pennsylvania. She composed several of the pieces they performed and recorded. Judy’s professional affiliations include the National Association for Music Education, Pennsylvania Music Educators Association, Dauphin County Music Educators Association, American Choral Directors Association and she is certified by the College Board to teach Advanced Placement Music Theory. Currently, Judy is the leader of worship music at Grace Fellowship Church in Steelton with a group of very fine and dedicated musicians. She and her wonderful husband, Doug, have three children and three grandchildren. They live along the beautiful Susquehanna River in Dauphin. 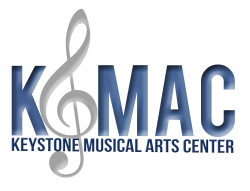 Judy is very excited to be a part of the gifted team of music teachers at the Keystone Musical Arts Center! She teaches many different styles of vocal and piano music including Classical, Broadway, Jazz, Folk, Gospel and Contemporary. Judy believes in developing sight­reading and sight­singing skills as well as the theory of music. The skill levels she teaches are beginning, intermediate and advanced. Judy looks forward to meeting many students who are eager to pursue the joy of music!